Malaysia Airlines really is all over the place. The airline is on their third CEO in three years (Mueller was there from May 2015 through June 2016, Bellew was there until October 2017, and now Captain Izham Ismail is the new CEO), and it seems like the airline is having yet another change in strategy. 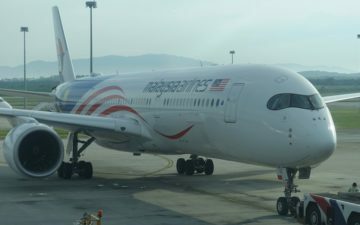 Malaysia Airlines is just now starting service with their brand new Airbus A350. By next year the airline will have six A350s in their fleet, and their plan was to use these to replace their A380s, which just offered too much capacity for the airline. Initially Malaysia Airlines was hoping to sell their A380s, though due to the lack of interest they had to shelve plans for that. Then their plan was to use their six A380s to create a sister business, where they’d wet lease A380s to other carriers on a short term basis, and possibly also use A380s for some Hajj and Umrah charters. Well, I guess it shouldn’t come as a surprise, but Malaysia Airlines has a new plan for their A380s. AusBT notes that Malaysia Airlines now plans to keep all six A380s in their fleet, and use them to add capacity to various destinations during peak season. For example, even though all of Malaysia’s flights between Kuala Lumpur and London were expected to be operated by A350s as of March, Malaysia Airlines has now scheduled the A380 on the route (specifically, flights MH2/MH3) between July 20 and September 3, 2018. Apparently we can also expect to see the A380 flying to Tokyo, Seoul, Sydney, and Melbourne. For flights where the A380 is replacing the A350, you can expect that they’ll sell first class as usual (the A380 has twice as many first class seats as the A350). 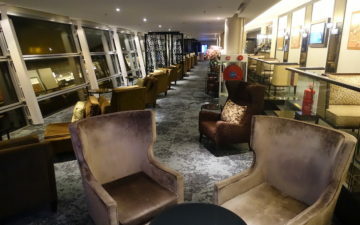 However, for other routes the plan is apparently to just seat oneworld Emerald & Sapphire members in the first class cabin, and sell it as a two cabin plane. I suspect that like everything else at Malaysia Airlines, that remains subject to change. This actually represents a significant downgrade for business class passengers. While A330s and A350s feature fully flat staggered seats, the A380s feature fully flat forward facing seats in a 2-2-2 configuration. Apparently Malaysia Airlines is considering whether it makes sense to retrofit A380s with these new business class seats as well. Malaysia Airlines’ lack of vision here is concerning. The airline has been saying for a long time that they plan to fly the A350 to London because it offers the right capacity, and now they’re starting to backtrack on that. Will Malaysia really only fly the A380 to London seasonally? It’s my understanding that this is the route that has way more demand than any other Malaysia route, so if they don’t keep the A380s on London, is there another route where it could even make season, even if just during peak season? The A380 has about double the capacity of an A330, so doing a seasonal upgrade on other routes is a questionable move. But on the other hand, Malaysia Airlines has had so many issues with corruption and mismanagement, so you’re not really getting an outside perspective here. While a CEO coming from the outside who is tasked with turning around an airline might be willing to make tough decisions and go against other parts of the management team, someone who has spent their entire career at the airline might not be willing to make such bold decisions. I can imagine that a lifelong employee and local would be much more likely to have the goal of making the airline as big as possible, creating as many jobs as possible, maintaining the legacy of the airline, etc., rather than showing discipline and making tough decisions. Clearly market conditions haven’t changed overnight, so one has to wonder what Malaysia Airlines is thinking here. What do you make of Malaysia Airlines’ decision to keep their A380s? @Alex it’s certainly an interesting prospect. The only nonstop challenger is KLM. Are we to assume KLM and Malaysia are on the same level? Because at this point I don’t even know.. In that case they can use the 350’s to fly some regional routes like Jakarta, Bangkok and HK. They now fly these routes with those small 737 bugs whereas competing airlines fly the same routes with 330’s, 350’s and 777’s. Anyone with the choice between a bug and a wide body knows which one to pick. Until 5 years ago yes. Right now KLM is far ahead. I used to be Gold on MH for several years, I don’t fly it anymore if it can be avoided. Their longhaul however is a bit better than shorthaul, but no match for KLM. seriously, MH really needs to get a grip on reality. They hired some consultants after 2 unfortunate events and ended up changing zero part of either their brand or strategy, except the constant flip-flopping of their A380 fleet. KUL-NRT (MH 88/89) and KUL-AKL seat maps have been changed to all business class with the A350 configuration. KUL-NRT (MH70/71) still shows first class but you can’t buy a first class ticket, only business. I have an AKL first class reserved. Most days from the August 5th starting point had F available when this came out the other day. The seat maps also showed F. As of today there are no F awards and the seat maps error out on F but J still shows the A350 only with row 1 part of the J cabin. Plenty of J awards available. While this article reveals no F on A380 routes other than LHR, appears to be the same for A350 non-LHR routes. It also suggests that they are keeping AKL in the mix. At least until tomorrow. On a couple of flights that I flew with Malaysia Airlines LHR-KUL, these flights are always full and overbook. Crazy move, and I doubt this has anything to do with market conditions. Suspect this is a combination of wanting to fly the A380 as a status symbol for the airline, regardless of demand, and also that the new CEO doesn’t want one of the first moves under his leadership to be locking in a massive loss on resale of these birds since there is basically zero demand on the secondhand market. This bodes poorly for Malaysian. What a mess. The demand for their LHR route has always been there. But i guess it’s not a very premium yielding route. The should retrofit the A380s with the new business an F suites and use the A350 to return to some european routes they stopped flying to. And to be honest, if they can’t find a profitable way to use to use the A380s then why not make the best of it by a retrofit, add more seats at the back of the bus while reducing their J seats. Just today Condor announced plans to launch thrice a weekly FRA-KUL route in 2018. As of today there’s absolutely no direct flight to Kuala Lumpur from Germany. LH has never warmed up to the route citing low premium yields. But yea, this airline needs to find a clear strategy and stick to it. Usually, the one with the best ticket price. If people cared so much about widebodies over price (and narrowbodies are much cheaper on comparable routes both can run) United would be flying 747s to Hawaii still, instead of flying them to Hawaii one last time before retiring them for good. And before you go “but what about Asia”, recall that AirAsia is BIGGER than Malaysia Airlines by fleet size and number of destinations, which is no small reason as to why they are experiencing such problems. As stated A380 always full to London and MH fares are not cheaper than anyone else – so why kill capacity ? With order for 787s it appears more they aren’t that certain what to do with the 350s. As a customer never had a problem with Malaysian , decent service . Yes, understood. But even that is not the case. I recently flew KUL-BKK. 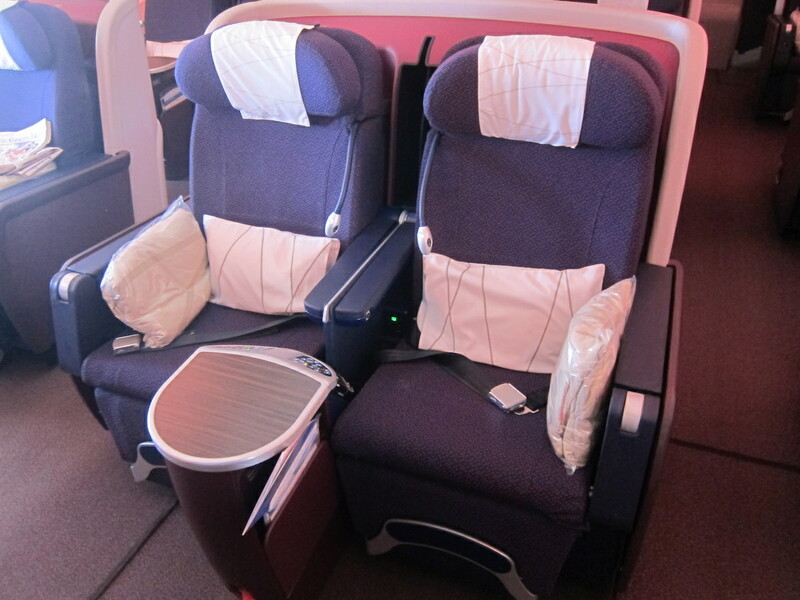 The price on a MH bug was higher than on a Thai 747 with FC seats sold as BC. Your point on Air Asia is valid. But that means MH needs to decide who they want to compete with. If they charge full cost, then I assume they try to compete with TG, GA, SQ, CX, KL, who are flying most if not all with widebodies. MH is not winning it on price, not on service, not on hard product. So I guess we can agree that strategically it is a big mess up, which I suspect, knowing Malaysia, may be politically driven. Having said that, I see GA under the new management also rapidly deteriorating. No more clear strategy, service levels have come down. I see they are going to lose their 5* status, similar to what happned to MH. @ron GA’s sole objective right now is to clear out their debts and return to black for a more stable 2018. In 2019, they will receive new jets in the form of 737-M8 and A330-900neo, which will then replace older A330-300s. In the short term, however, they’re planning to retime Australia flights to feed their London nonstop service. How has it been rapidly deteriorating? I could make a long list on how it was and how it is now, covering check-in, lounge experience, food, boarding experience etc. The point here is that GA used to have a clear strategy and executed on it under the last 2 managements. The current management appears to be working on cutting losses through cutting costs. The fact that for several months nobody has been in charge to run operations also plays a role here, operational discipline has become sloppy. Anyway, anyone can understand that it is impossible to deliver a 5* service while trying to compete with the likes as Air Asia, Lion and Malindo and still expect to make money. That is not going to happen. When you speak to GA (ex) employees you will hear more than enough about the unclarity and ambiguity. The only way to possibly get rid of the losses is to run a business and operating model aligned to the strategic choices. This management appears to be starting from the cost cutting side: that has never save a business and won’t fix GA either. What I find most puzzling is the strange government habit to continuously change managements, especially when they are performing well. Revamping J and F class on the A380s is something MH can’t afford to do. While their revenue has increased on a quarterly basis, they have yet to turn a profit. While I love the A380, this was a prestige buy Malaysia Airlines should never have gone into in the first place. This is not an easy problem to solve since it was caused by folks who were not experts in the Aviation business. Having said that Malaysian Airlines has few options if they can’t get a fair price to sell the 6 A380’s and I would suggest: 1. Retro fit the 6 A380’s with the new Business Class product so that the entire airline is on the same high class platform and can compete globally with the other premium carriers. 2. Allocate the A380’s to routes where you can fill them such as London, Sydney, Melbourne, Tokyo & Hong Kong and time the in bound aircraft from London to link up with the outbound aircraft to SYD & MEL & visa-versa so that you are offering passengers a seamless and quick onward connection, this will help passengers buy into the offering. 3. Malaysian will have to offer a discount of 10-15% to attract new passenger flows from other Asian & Middle Eastern carriers, service, food and quick turnaround times alone won’t do it; on-time performance matters. Malaysian Airlines is a for profit enterprise so Its better to have a full aircraft making money vs racking up losses again & again, learn from the previous foreign managers. 4. Team up/Partner with the Malaysian Tourist Board and launch an extensive Ad & PR campaign in Australia, Europe, China, Korea, Japan, HK & Taiwan. Once this is done then MH can re-allocate the A350 aircraft to some of the western European destinations such as Paris, Amsterdam, Frankfurt & Rome (where there is business & toursit travel volume). You also want to operate the A350 to high volume destinations such as Seoul, Beijing, Shanghai, Tokyo, Mumbai & New Dehli – You have to concentrate on cities and markets where there is critical mass of passenger flows, where there is business travel and also where people have disposable income to spend on flying & in addition people want to fly on a nice wide body aircraft like an A350 vs a 737 but you have to be pragmatic, if the volume isn’t there then it isn’t there, period, be pragmatic and move on: focus on generating sustainable revenue while offering a compelling Business Class, Premium Economy & Economy product.